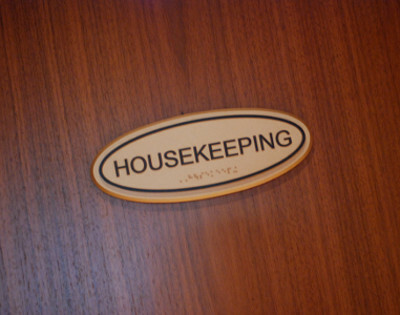 Just a quick blog “housekeeping” notice for my new followers (all 2 of you!) that I’m going to be re-arranging my “fruitbasket” a.k.a. my existing posts and pages a little bit, as everyone (including me!) agrees they’re a bit lengthy for the average reader, and might be more digestible in shorter chunks. I was just so eager to get all this information out about the prevalance of Ehlers-Danlos Syndrome (and when to suspect it- which is REALLY OFTEN!) and the MYRIAD comorbidities we “enjoy” along with it that I sort of “splatted” out the first three posts in haste. (Would that be “post haste”? smile). Anyway, apologies if you have any links back to my blog posts and this re-arranging upsets your apple cart at all. I’m doubting that’s the case yet, but just wanted to honor it if so, you may need to re-link accordingly. Why haven’t I just gone ahead and done this yet, you may well ask? Only because I seriously struggle to get around to the blog once a week at best thanks to my lousy condition, and I also want to do so with a bit more deliberation and conscious thought to the final outcome. And I haven’t had the brain space yet this week. But I’ve been blessed to receive some VERY helpful early feedback I deeply appreciate, as my goal is to make this as readable and useful as possible for all. I’m also excited to share a small discovery I just made in my ongoing research into who all knows what about this lousy condition, and its wide ranging ravages. And that is the answer to why I haven’t found a copy of the Driscoll Theory book to buy for the last 2 years, despite numerous people suggesting I find it. The Driscoll Theory is a book fellow EDS patient and therapeutic optometrist Dr. Diana Driscoll published in 2011 about the comorbidity of CCSVI, MCAD and POTS in EDS patients for those unfamiliar. And lo and behold, that’s because (as I suspected) it was meant to be unavailable because it’s actually been “pulled” from print by Dr. Driscoll herself for a very particular reason she explains in this 2014 video. Mainly, she no longer recommends angioplasty as a possible treatment option as described in the book. The thing is, Amazon couldn’t tell you this, though they finally show it to be “out of print” now. It was available in late 2012 (when I went looking for it) for the princely sum of something over $1000 which seemed quite odd and had the desired effect on me: I did not buy it, as I could not afford it! At least now I know why, and can stop feeling like an idiot for not finding a way to buy it! (She didn’t want me to after 2012!) I’m sure she’ll be producing a revised version or replacement sometime, knowing her. Or I hope so! That said, I was thrilled to see her tie together even more comorbidities I’d been seeing in the groups in that video, including fibromyscular dysplasia and CVID and CCSVI. There’s just so many, it’s hard to remember them all! (I plan to hatch a “page” listing all I know of shortly). And again, is why I can understand doctors having trouble believing us when we present with SO many poorly recognized semi-rare systemic conditions. And why we patients can get so overwhelmed trying to cope and manage. Remember what I said about 60 blind men and an elephant before… we may actually need to up that number before I’m done, seriously! I wouldn’t believe it myself if I didn’t see everyone complaining of all these things repeatedly (i.e, by the hundreds) in the online groups I’m in, and experience a fair number of them myself. I really wish I could show my doctors what I see online one week, it would really humble them and help them realize just how wide ranging this is, and not rare. But also, how many thousands and even millions of dollars we could save the US health care system if we only recognized them much sooner. Doctors would then know to suspect any of the myriad additional issues we may come with, and save everyone all the grief of disbelief and doctor shopping that then ensues. Trust me, when you feel as rotten as “The Trifecta” of EDS, POTS and MCAD can make you feel, you want answers and will stop at nearly nothing to find them! Good news, I just heard via Dr. Driscoll herself on Facebook that she is very actively working on producing an updated Driscoll Theory even as we type (April 2014). She’s just been busy managing her own health as well as her families (she is a fellow patient), and the usual gremlins involved in publishing such a seminal work. We wish her great health and luck to that end and can’t wait to see it!